The ideal entry-level adapter for your home network via the powerline. Simple and fast connection at powerline speeds up to 500 Mbps. 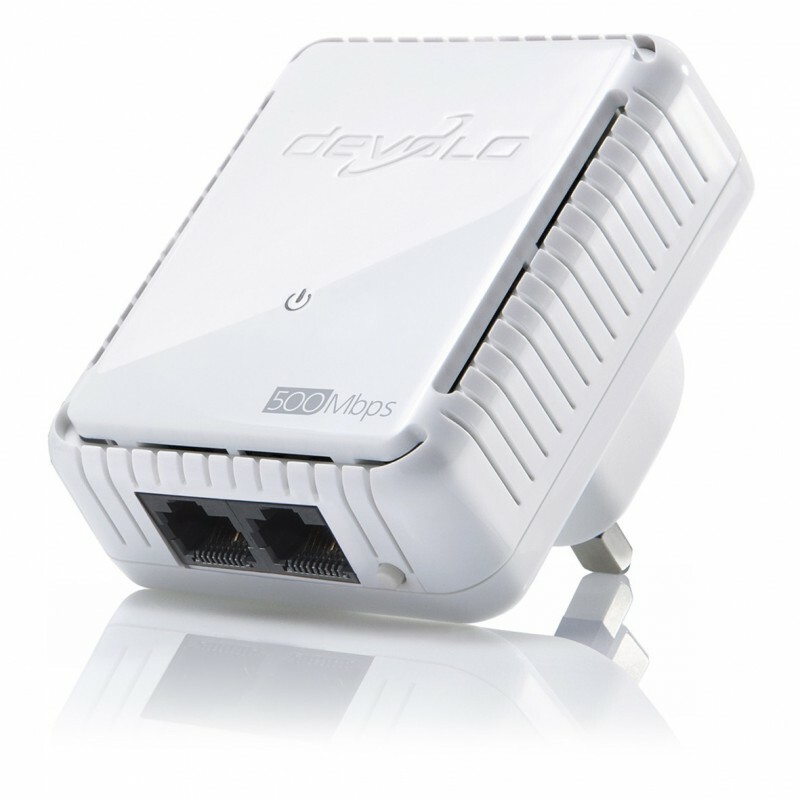 Use the dLAN® 500 duo from devolo for the optimal entrance into your own world of home networking. The easy connection via household powerlines makes the Internet available in any room in no time. Two LAN ports on the adapter allow for two devices to be directly connected, such as a computer and network printer in the home office or Smart TV and a game console in the living room. The compact housing enables flexible and unobtrusive placement at any power outlet in your home. 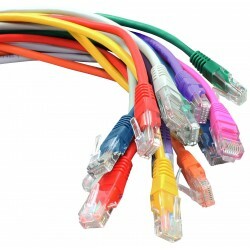 Of course, the home network can be expanded at any time with additional adapters. This way, the innovative dLAN® technology brings the Internet into any room. There are already more than 16 million satisfied devolo customers—the Number 1 for Powerline home networks. High-speed data transmission at powerline speeds up to 500 Mbps with two Fast Ethernet connections for connecting additional devices. Ready to use immediately. Without any cables, and without any technical installation whatsoever. It doesn't get any easier: Connect adapter 1 to the router and connect the device you want to use to adapter 2. You're ready to go! Networks, computers, Smart TVs, receivers, Set-Top Boxes and much more. Continuous Internet performance for all Internet-compatible devices. Stable Internet—from the basement to the attic. Without lagging! Without dropouts! Automatic phase shift: This is how the Internet gets to each room and becomes your home network. Easily expand your network at any time and integrate additional devices into your home network with an additional dLAN® adapter. Finally you can use everything: Use your printer and hard drives together. Access your music, photos and data or stream HD videos in the highest quality. Automatic encryption! Active protection against unauthorised access. From the very start! The exclusive PowerSave technology from devolo provides minimum energy consumption that is continuous, intelligent and entirely automatic. Includes dLAN® Cockpit management software for the home network option on computers (Windows, Mac OS X, Linux). Compatible with all adapters of the 200/500 Mbps product series. Designed, tested and certified in Germany. Rely on the Number 1—and your global market leader for Powerline home networking. As usual, with maximum performance, exclusive technologies and international patents.